THIS COMPETITION IS NOW CLOSED, WE HAVE ANNOUNCED THE WINNER HERE. YOU CAN SEE OUR CURRENT COMPETITION HERE. This week’s competition prize is your choice of cocktail dresses from Stop Staring – the celebrity go-to brand for retro styling on the red carpet! Their beautiful vintage dresses are inspired by the 1940s and 1950s. Please note that this week’s competition is only available to residents of the USA, which sadly means I can’t enter my own competition! 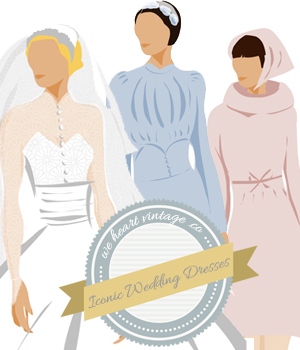 Simply comment below and tell us which is your favourite vintage dress from Stop Staring, either from the gallery below, or from the much larger range on their website here. We’ll pick a winner after entries close on Thursday 19th April. The winner will be announced on this blog soon afterwards so don’t forget to check back or subscribe! Please note: This competition is open to USA residents only, as the prize will only be shipped within the USA. We will contact the winner shortly afterwards and pass their details onto Stop Staring who will send out the prize directly. The Jolie Black dress is ooh, la, la! We’re thinking it’s too difficult to decide between blinda-01-nvytn and love-03-pnklc-2! But then again, summer is almost here and dandy-10-black would be equally loved. If we must choose, Bela and I pick blinda-01-nvytn. Great giveaway and sorry you couldn’t qualify for your own contest. 30BMB-03 BLKRD is a dream! I’d just love it! Finally a website with dresses with some style! I’m so tired of the boring dresses I see in the stores. Thanks for featuring Stop Staring. I like the purple dress featured here as the best of the selection. I love the the very last dress. One of each would be nice. cute! I like the BEVRLY-11 BLACK. I adore the CVGRL-01 RDBLD – absolutely stunning! While I do really love all of their dresses (really! so excited to have found this site! ), I would say that my favorite is: CLBRTY-03 NVYWD . I would be excited to be considered for your contest. I am a budding photog who is planning to do a vintage photo shoot in May, and I think this dress would be a perfect gift for the model as well. Thanks for your consideration!! Gosh, I LOVE Stop Staring. The pinks and oranges and the WTRCL-03 SUFLR dress are so much fun. I mean, their dresses are amazing, all of them! However, one thing I’m certain, my heart lies on the WTRCL-03 FLORA. What can I say? We were meant for each other. The Jolie-03 Black dress is the one for me!